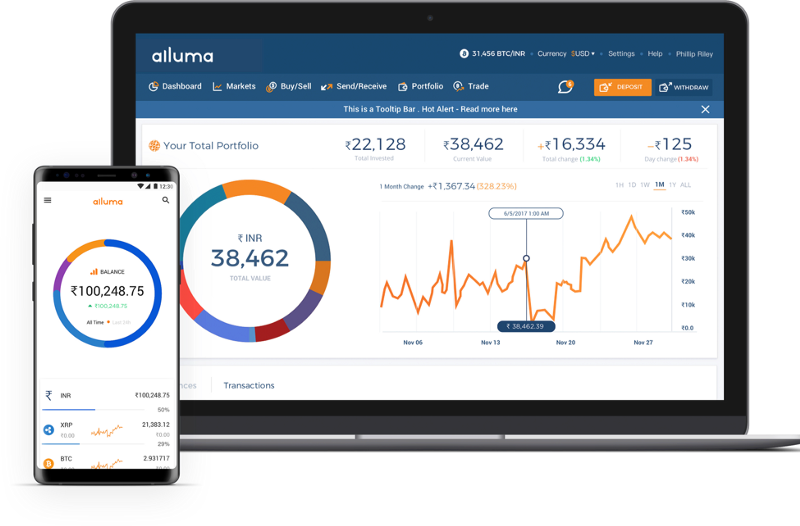 Alluma has built the first institutional grade cryptocurrency exchange dedicated to the growing cryptocurrency markets across emerging Asia. Considering the above problems, Akash decided to came up with his own crypto exchange “Alluma”. With a first class international team coming from some of the world’s biggest corporates like JP Morgan, Deutsche Bank, Accenture, American Express, PWC, Ericsson, MoneyGram International, GLG and Quoine, the Alluma team aims to address the above mentioned problems and make crypto trading hassle-free. Global liquidity meaning low spread, fast transactions. 110+ pairs (and counting) of the world’s top tokens. Alluma membership based loyalty program. Our Core exchange engine hidden in a private network, making it inaccessible to all external parties. Although Alluma does not agree with the recent decision by the RBI to withdraw banking support for crypto related business, it understands the need for oversight in the space. Alluma is in favor of regulation that protects consumers while allowing crypto businesses in India to grow. highly liquid crypto to crypto markets. The development and management of Alluma is driven by an executive team and advisory group with deep international experience and success from a wide range of leading banks, technology, blockchain, investment and consulting companies. This includes people with experience at entities including JP Morgan, Deutsche Bank, RBC, Credit Suisse, American Express, Ericsson, Deloitte, GLG, Quoine.